Some members of our company went to Hiei-san today to take part in the opening ceremony of a new part of the Enryaku-ji temple complex. Enryaku-ji is the head temple of the Tendai sect of Buddhism and the place where Yousai, who founded Kennin-ji (建仁寺) in 1202 trained as a monk. 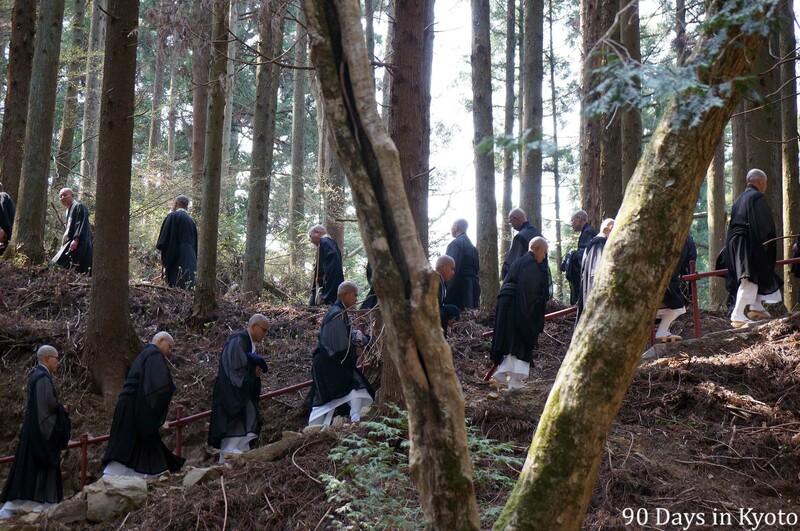 On this picture you can see the monks and Unsui (novice monks) of Kennin-ji climbing the steep mountain side in geta, the traditional wooden sandals.